Below you fill find all funeral homes and cemeteries in or near Malden. Malden is also known as: Dunklin County / Malden city. Zip codes in the city: 63863. Some of the notable people born here have been: Derland Moore (american football player). Malden is a city in the northeast corner of Dunklin County, Missouri, United States, located near the intersection of Missouri Route 25 and U.S. Route 62. 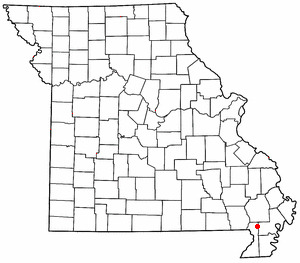 The population was 4,277 at the 2010 census, Malden is within Missouri's 8th congressional district. It was written by The County Journal on February 7th, 2019 that Betty Jane Nelson (Dories) died in Sparta, Illinois. Ms. Nelson was 85 years old and was born in Malden, MO. Send flowers to express your sorrow and honor Betty Jane's life. It was reported by Pine Bluff Commercial on September 11th, 2018 that Billie D Kalkbrenner (Hutchcraft) passed on in Little Rock, Arkansas. Ms. Kalkbrenner was 91 years old and was born in Malden, MO. Send flowers to express your sympathy and honor Billie D's life. It was revealed by The Commercial Appeal on July 1st, 2018 that Raymond David "Dave" Moreau passed away in Memphis, Tennessee. Moreau was 82 years old and was born in Malden, MO. Send flowers to express your sympathy and honor Raymond David "Dave"'s life. It was disclosed by The News Tribune on January 7th, 2018 that Freeman Franklin Glover passed away in Washington. Glover was 82 years old and was born in Malden, MO. Send flowers to express your sympathy and honor Freeman Franklin's life. It was disclosed on September 26th, 2017 that Stephen Jerome Kinder passed away in Malden, Missouri. Kinder was 70 years old and was born in Effingham, IL. Send flowers to share your condolences and honor Stephen Jerome's life. It was disclosed by Peoria Journal Star on May 27th, 2017 that Eula B Hill (Baker) passed away in East Peoria, Illinois. Ms. Hill was 86 years old and was born in Malden, MO. Send flowers to express your sympathy and honor Eula B's life. It was disclosed by The Daily Herald on February 8th, 2017 that James Louis Clingingsmith passed on in Woodridge, Illinois. Clingingsmith was 79 years old and was born in Malden, MO. Send flowers to express your sorrow and honor James Louis's life. It was revealed on August 10th, 2016 that Phyllis Laforge (Book) perished in Hilo, Hawaii. Ms. Laforge was 75 years old and was born in Malden, MO. Send flowers to express your sympathy and honor Phyllis's life. It was noted by Flint Journal on March 27th, 2016 that Billie D Weidner (Shaw) died in Flint, Michigan. Ms. Weidner was 88 years old and was born in Malden, MO. Send flowers to share your condolences and honor Billie D's life. It was revealed by Flint Journal on March 21st, 2016 that Bonnie Lou Hall (Tuttle) passed away in Michigan. Ms. Hall was 86 years old and was born in Malden, MO. Send flowers to express your sympathy and honor Bonnie Lou's life. Malden is a city in Dunklin County, Missouri County, Missouri, United States. The population was 4,782 at the 2000 census. . . . The official website for the city of Malden is http://www.maldenmo.com. Services will be at 10 a.m. today at Malden Church of Christ in Malden, Mo., officiated by Mr. James Brown. Burial will follow in the Memorial Park Cemetery in Malden, Mo. Arrangements by Landess Funeral Home, Inc., of Malden, Mo. and Virginia Langley and husband, David of Michigan; three brothers, Bill Hays of Michigan, Alvin Hayes and wife, Jannifer of Morrisville, Mo., and Calvin Hays ... Cemetery at Clarkton. Landess Funeral Home of Malden was in charge of arrangements. funerals in Malden, MO 63863 on Yahoo! Local Get Ratings & Reviews on funerals with Photos, Maps, Driving Directions and more. Listing all funeral homes in Malden, Missouri so you can easily send flowers to any location (same day delivery) or find any funeral service. funerals in Malden, MO on Yahoo! Local Get Ratings & Reviews on funerals with Photos, Maps, Driving Directions and more. We work with local florists and flower shops to offer same day delivery. You will find budget sympathy flowers in Malden here. Our funeral flowers are cheap in price but not in value.